condition: excellent engine hours (total): 300 7.4 MPI 454Bravo 3Tri axle aluminum trailerFull canvasEverything worksCleanPortable Marine A/C$6000 in service over last yearBellows, hoses, fuel pump, fuel regulator, oil change, filter, complete bravo/transom service, etc.Risers and manifolds were checked and perfect. I use the boat, pull it out of the water. Run fresh water through it for 15 minutes. Then I run salt away through it for 15 minutes. Then I spend 3 hours cleaning washing everytime. That includes the trailer also. 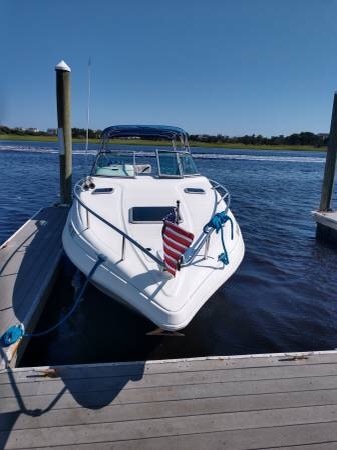 I just don't buff or wax because of back issues.Front canvas windows are faded and need to be restitched.Two Seats have a little cracking but are still soft to touch.Boat could use a wax and buff.If full price offer given I will have the whole boat detailed. Delivery is available upon negotiations, can deliver to Florida and in between. 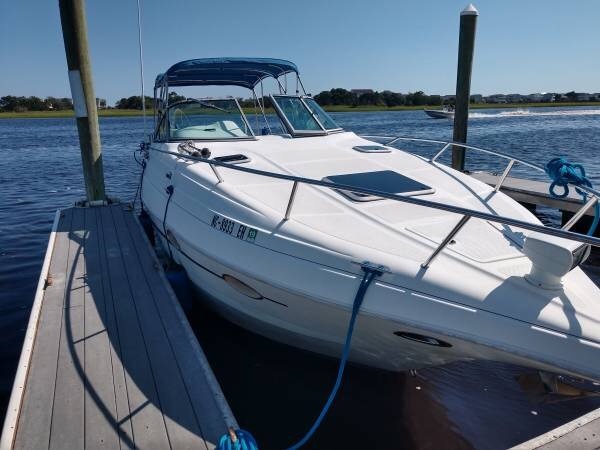 Boat is in Southport NC 28461, and I have a vacation home in Palm Beach gardens FL.It is currently winterized but I will be getting it ready for season within next couple weeks. 2001 Mariah 25 Shabah, PERFECT BIG WATER BOWRIDER EQUIPPED WITH 12 PERSON CAPACITY FOR YOU AND YOUR FRIENDS. 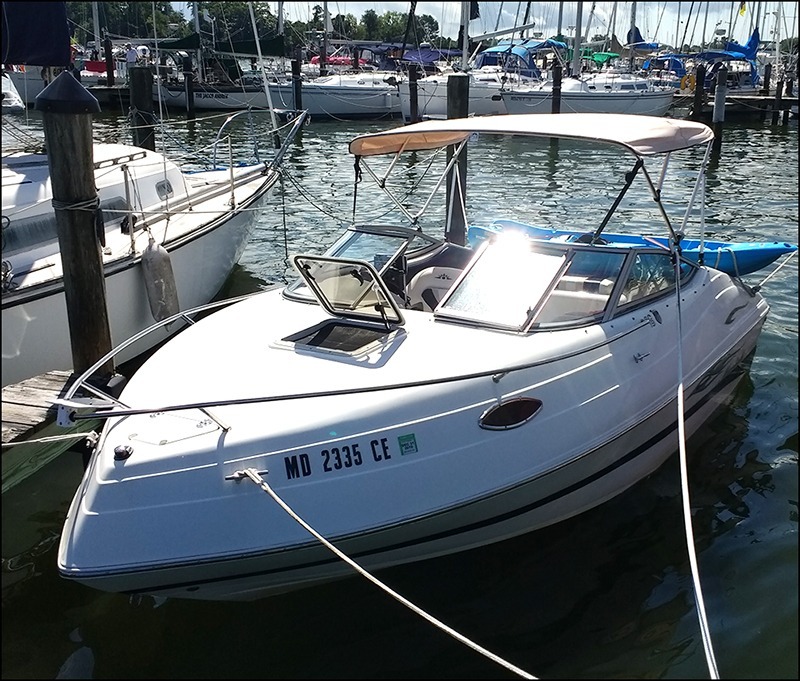 A VERY BUDGET FRIENDLY BOAT WELL LAID OUT.OPTIONS INCLUDED: BIMINI TOP, FULL ENCLOSURE,BOW AND COCKPIT COVER, FULL 1 PIECE SNAP COVER,FULL BOAT MOORING COVER,GARMIN GPS,AM/FM/CD RADIO,VHF RADIO,BOW COCKPIT TABLE,HEAD W/ PORTO POTTY,DUAL BATTERY W/SWITCH,REAR BOARDING LADDER, SST PROPS AND COMPASS. Completely refurbished and updated. Perfect running condition. In water at secure marina.This beautiful 2006 Mariah Bowrider SX 25 is up for sale. The Mariah is powered by a well maintained Mercruiser 5.0L, with low hours. This boat is turn key, nothing to be done. Plenty of upgrades and meticulously maintained. 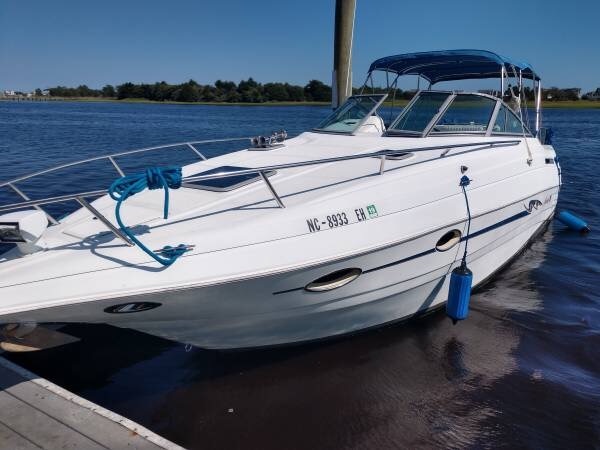 This is a great boat to take your family out for a cruise, Water Skiing, or just spending the day on the sandbar. This boat is easy to handle, even if you wanted to take it out by yourself. The Bimini Top keeps the sun off.Trailer is not included. 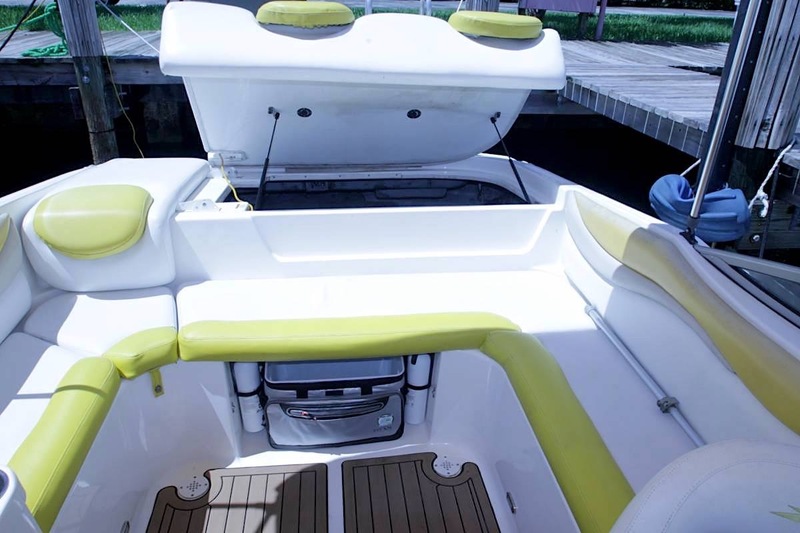 Floors covered with Sea Dek , Porta Pottie, Bimini Top, Fresh Water System, Cooler, CD Player, VHF Radio, GPS, Compass, Tilt Steering Wheel, On Board Battery Charger, Dual batteries, Fire Suppression, Gas alarm, LED lighting, USB outlets, Swim Platform with Folding Swim Ladder.No trades, no checks, NO BROKERS. I don't need help selling my boat. Beautifully maintained Mariah with a Bravo III outdrive. New interior, Bimini and full canvass cover. 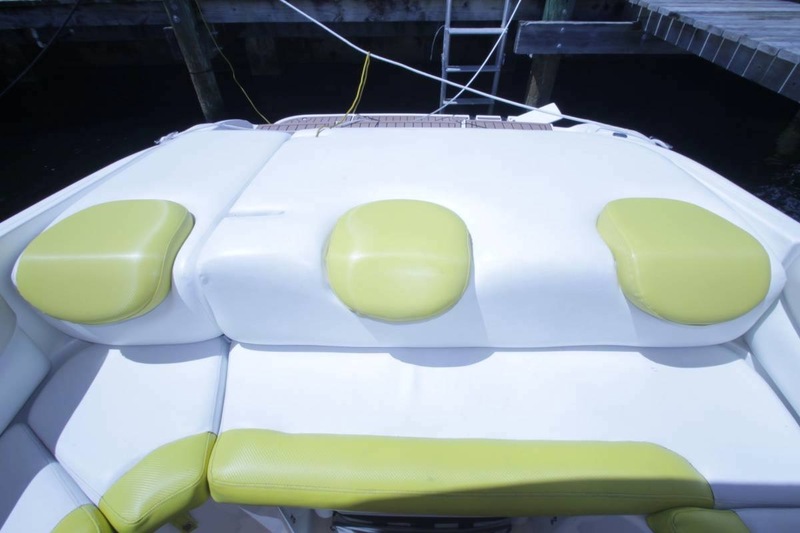 Additional forward seat cushions for sunbathing. Portapotty head and changing room. 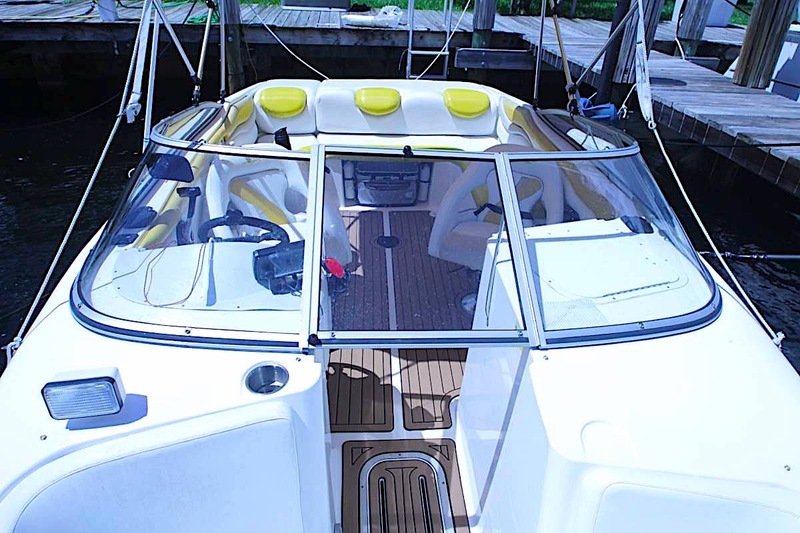 The NADA average retail for this boat is $13,035!